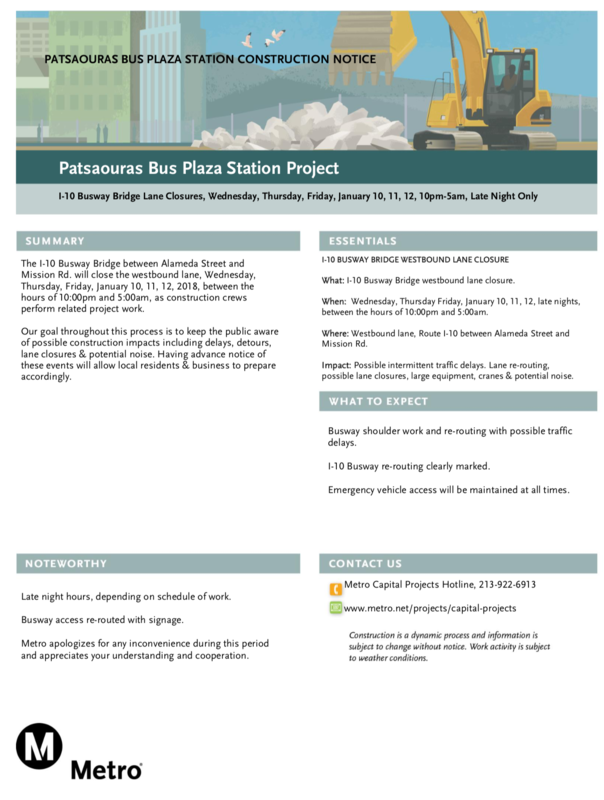 Here are the upcoming late-night closures related to the Patsaouras Bus Plaza Station Project. Center Street between Ramirez St. and Commercial St. will experience a full street closure on Friday, Jan. 12 and Thursday, Jan. 18 from 9 p.m. to 6 a.m. 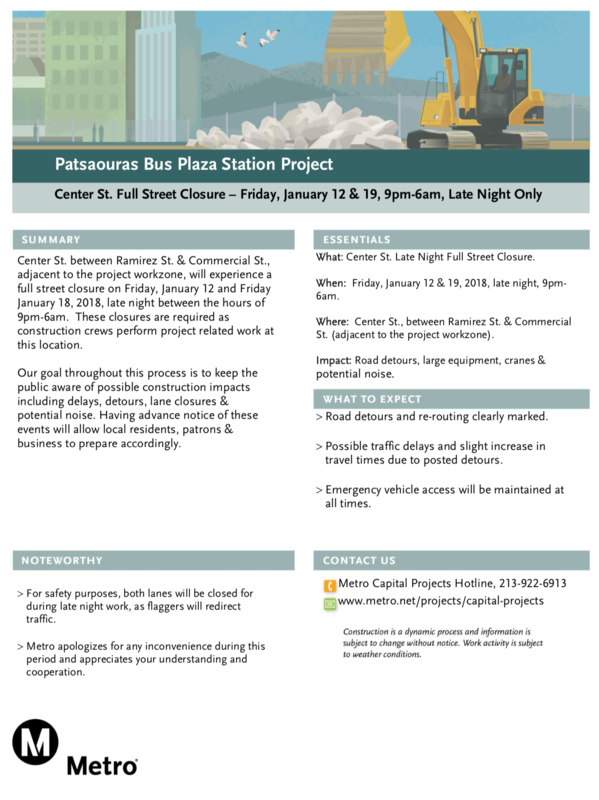 The westbound lane of the I-10 busway bridge between Alameda St. and Mission Road will close from Wednesday, Jan. 10 through Friday, Jan. 12 between the hours of 10 p.m. and 5 a.m.
During the closures, construction crews will be working on the future Patsaouras Plaza Bus Station, the elevated platform for the Silver Line which is slated for completion in the first half of 2018. January 18 is not a Friday. I hope it finishes this year. The project was supposed to open around the time the Express Lanes were finished, a few years ago, and would eliminate the poorly lit and treacherous “station” for the Silver Line at Union Station.